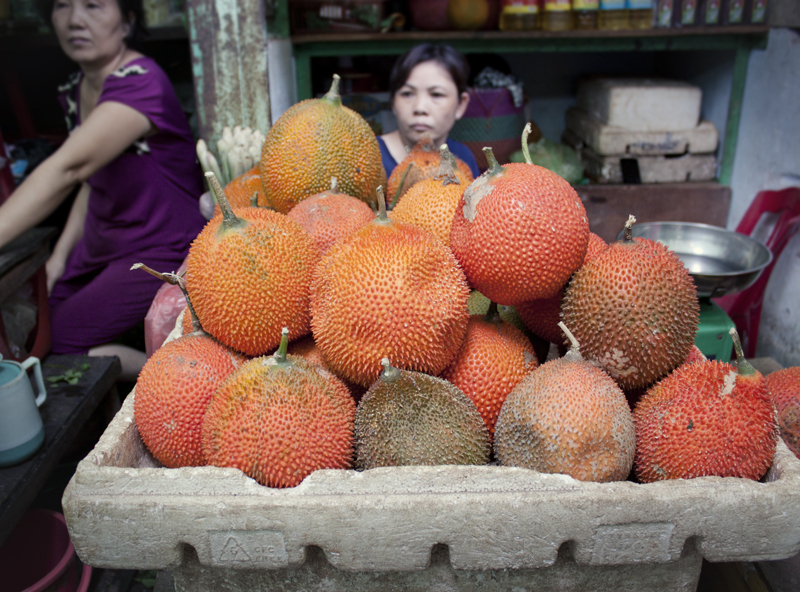 We thought that Vietnam was going to be the hardest South East Asian nut to crack in term of finding vegan food. I mean, the people there eat dog for goodness sake, so what was there going to be for us to eat there? As it turned out, it was the easiest. 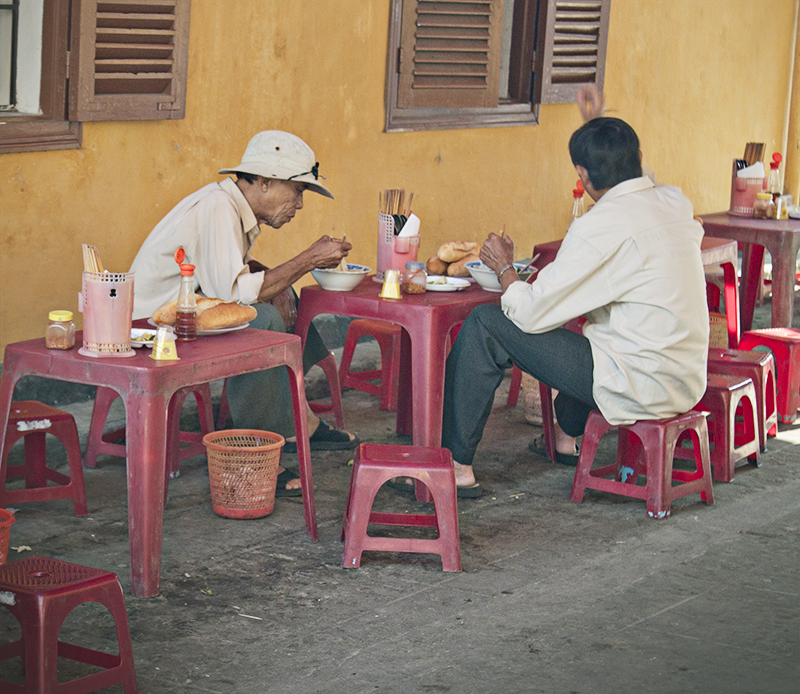 Most South East Asian cities have got good “Jay”, “Chay”, Buddhist, or Monk restaurant options, that is, all vegan restaurants complying with the Buddhist precept that one shall abstain from killing. 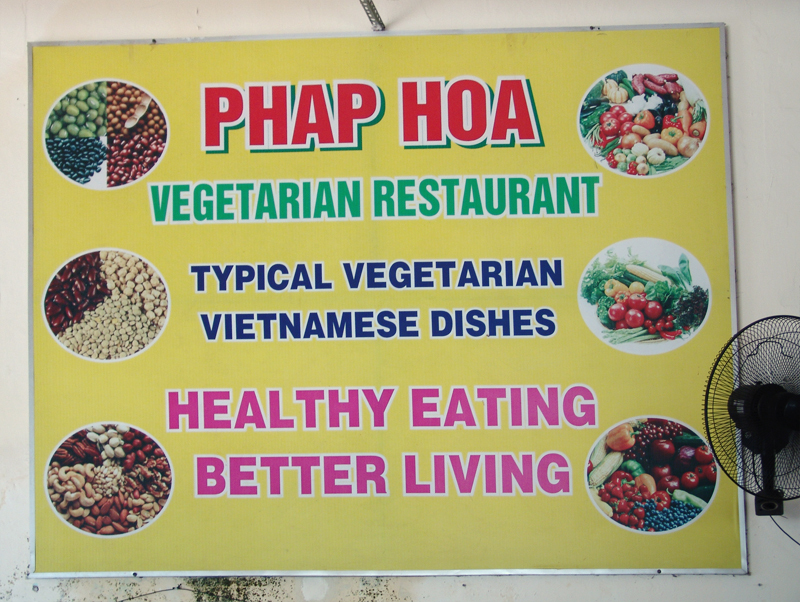 But Vietnam was by far the best country we’ve been to so far, both for its readily available selection of vegan food and the very delicious and varied options on offer. It is uncanny how this stuff smells and tastes like the real thing. All it contains is fermented soy, salt and sugar. Can anyone tell me if this is available in asian shops back home? I am going to need a case of it when I return. It can’t even compare with home made substitutes containing mushrooms, or seaweed, or pineapple juice, or anything. This stuff is SUPREME. 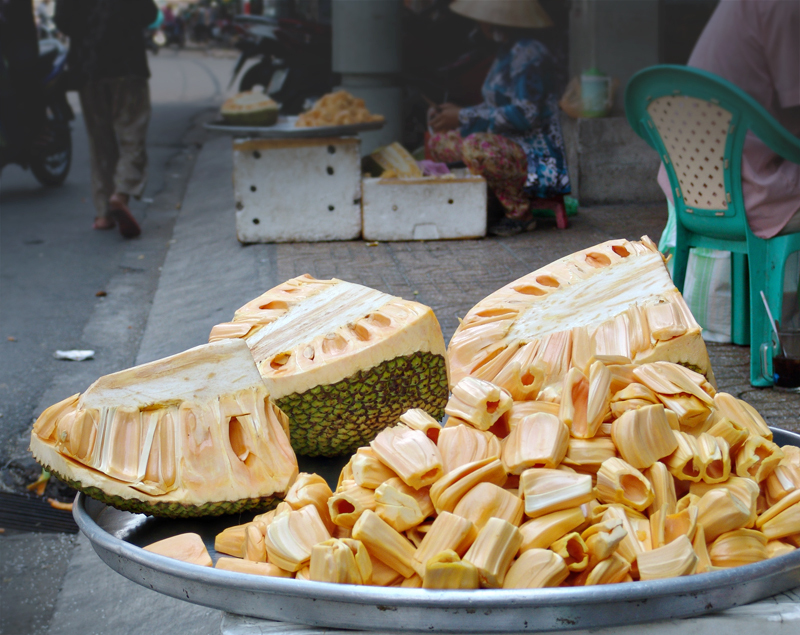 And you might need some to dip your banh xeo into. During our stay in Hoi An, we ate several times at the excellent Karma Waters and loved it so much that we ended up taking a cooking class with them. 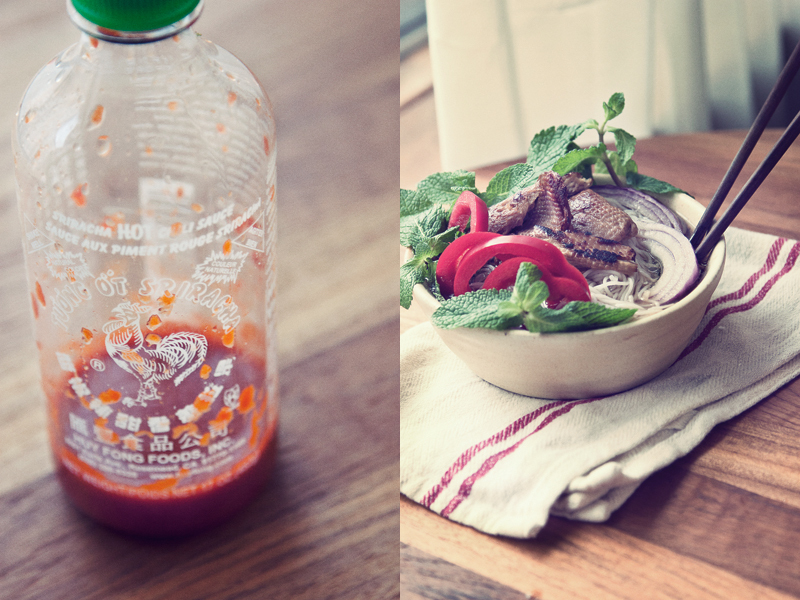 Here are two vegan Vietnamese recipes that make us want to say yeay! – Heat enough soybean oil to shallow fry the tofu (you want the tofu to be covered by oil) until hot. – – Carefully add the tofu slices, and fry for 3-5 minutes until golden brown. Turn, and then fry until golden brown on the other side. Remove and drain. – Cut into thin slices. – Roughly chop the mushrooms, onion, 1 slice of the tofu, and the vegan beef meatloaf. 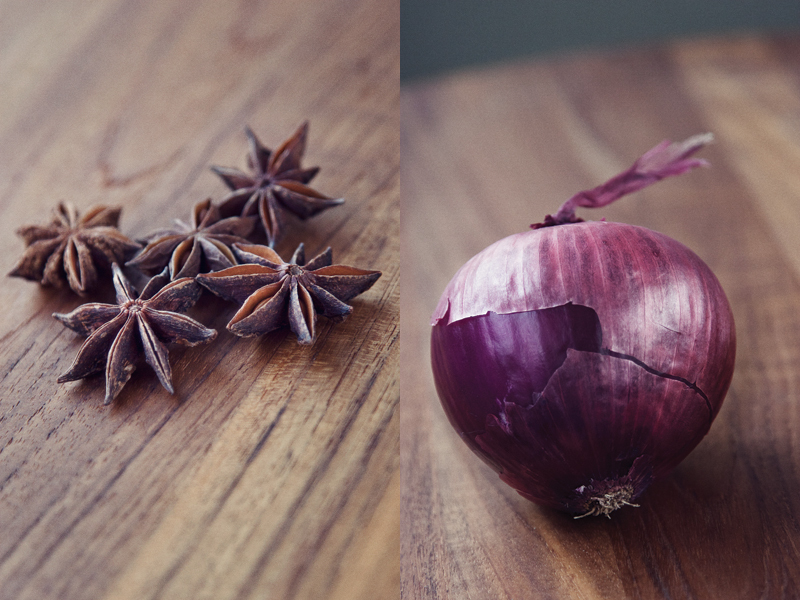 – Puree or smash the garlic and ginger into a paste using a pestle and mortar. – Bring two cups of water to a boil. Add the noodles and cook for 2 minutes. Then drain, rinse well in cold water, and drain again. Put to one side. – Gently fry the garlic and ginger in 2 tbsp soybean oil until fragrant (be careful not to burn it). Add the dry spice mix and stir well, toasting the spices for 20 seconds until fragrant. Add the onion, mushroom, carrot and tofu and stir very well. – Deglaze the pan with 3 cups of water, bring to a simmer and cook for 5 minutes. – While it’s cooking, soften the bean sprouts in hot water. Once the soup is ready, drain the bean sprouts. – Pour the soup over the reserved noodles. Serve in bowls garnished with the vegan beef meatloaf, holy basil, coriander, lime, peanuts, bean sprouts, spring onions in soybean oil and ground black pepper. The next recipe will require this magic pouch of powder that you would hopefully find in Vietnamese grocers. Please let me know if you can find it, as I am going to need ALOOT of that when I get home as well! Ban Xeo is a savoury glutinous rice crepe that is stuffed full with veggies. Once it is cooked, you cut a bite and make it into a kind of spring roll by rolling it into a rice paper and lots of greens. It’s as amazing as it sounds! Fresh greens – some combination of greens and herbs like lettuce, mustard greens, mint, white basil, banana flowers, spring onion, bean sprouts. 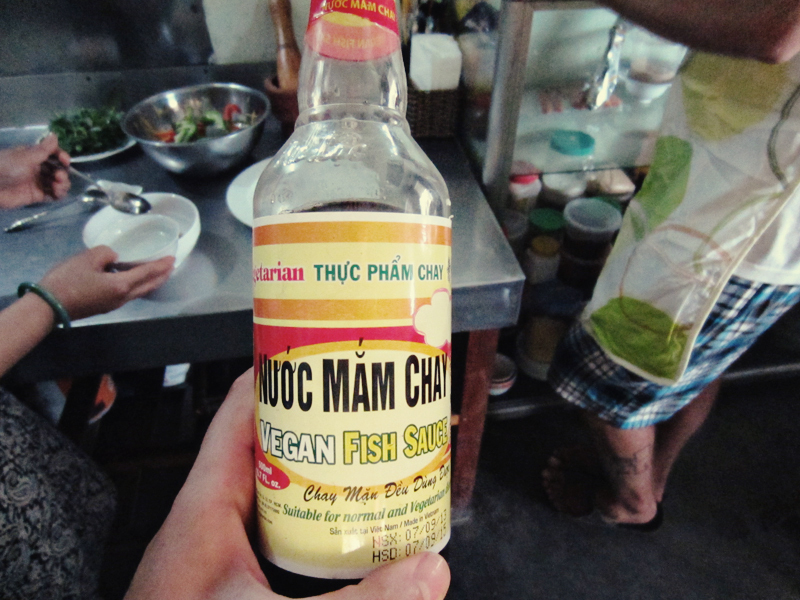 Vegan fish sauce if you have! Otherwise, soy sauce will do. – Prepare the banh xeo batter. Combine 4 tbsp of the banh xeo mix, 1/2 tsp dry ground turmeric and 1 cup of water. Mix well – the batter should be quite thin with no lumps. The batter will thicken a little as it sits. Put to one side. – Next prepare the filling. Peel the carrot, then very finely chop along with the mushrooms and the tofu. Add everything into the batter and mix well. – To prepare the pancakes, heat 3 tbsp soybean oil over a medium heat. Cover the pan with a thin layer of batter and cook for 30 seconds. Add 2 tbsp of bean sprouts over 1/2 of the pancake, then cover and cook for 3-4 minutes. Uncover, and cook until lightly browned on one side (use a spatula to peek underneath). Fold the pancake in half, and allow to finish cooking for a minute or two longer. Remove from the pan and drain well. Put to one side while you finish making the pancakes. Keep the pan well oiled for subsequent pancakes. – To serve: soak a rice paper sheet in water briefly, then let sit for about 30 seconds to soften up. Place half a pancake on the paper, along with a good handful of the greens. Roll into a tight spring roll, and dip into the sauce. You can add some chill sauce if you prefer it spicy. Amélie, I found the vegan fish sauce at Marché Hawaii in Montreal this morning! 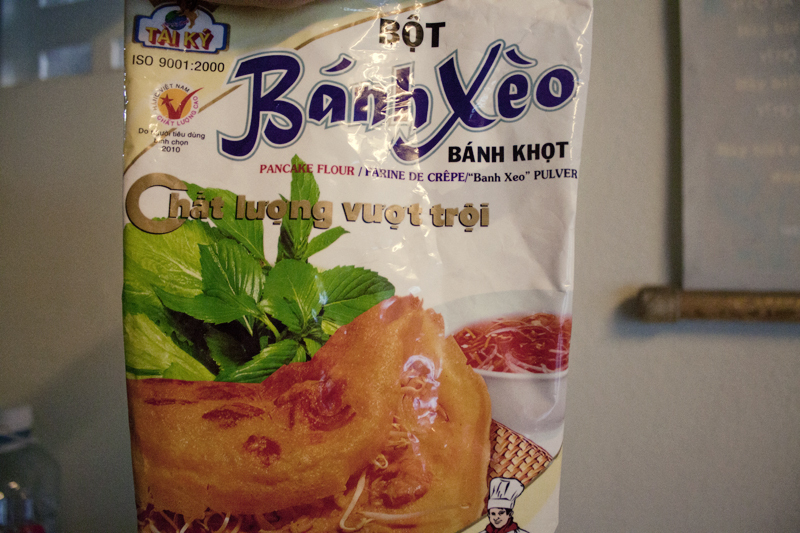 After reading this post on Banh Xeo last week (we love to make those at home), I went out to look for it.